Stamps Health Services introduced Sports Medicine to its Silver Clinic this week as a new option for care and treatment for patients this semester. He hopes that the opening of this clinic will also free up appointments in other clinics, as injuries of this nature can be treated in the Sports Medicine Clinic. Galante is board-certified in family practice with a certificate of added qualification in sports medicine. He has served as a team physician at Tech since 1997 and is the head primary care physician for athletics. Galante assured that his new work with the Sports Medicine clinic will not interfere at all with his work with athletes on campus but would make this same care available to the entire student body. 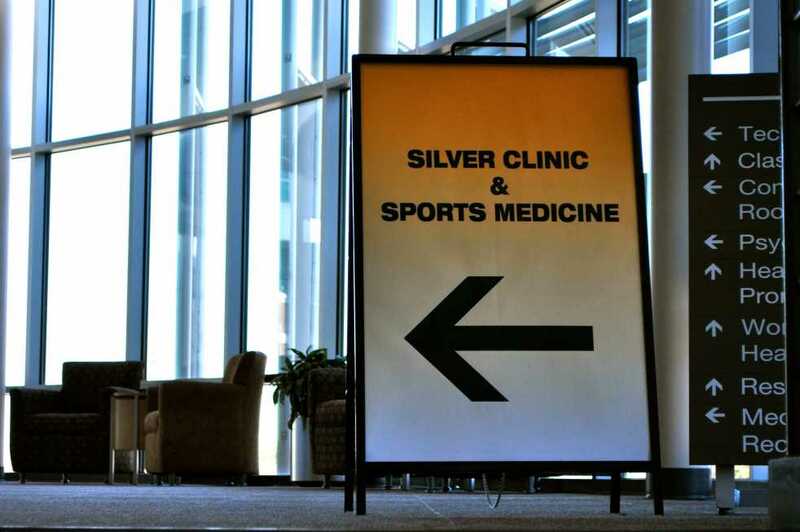 “The Silver clinic was primarily built to expand patient access to primary care. Although we have always provided care for sports related injuries, we thought it might be helpful for Dr. Galante to focus his talents entirely on his specialty of sports medicine two half days per week within the Silver clinic,” said Dr. Gregory Moore, Senior Director of Stamps Health Services. The concept of the sports medicine clinic is still brand new and described as being in an experimental phase, but all of those involved are excited to see where this will go in the future. According to Dr. Maureen Olson, Medical Director of Stamps Health Services, appointments have been filled up in the first week of operations. She and Galante expressed hope that this means the clinic will continue to be received well and utilized by the campus community, which could one day mean future expansion of the clinic and the addition of more trainers and physicians to better provide specialized care for students. The Sports Medicine Clinic is open Mondays and Thursdays from 1:15 p.m. – 4:30 p.m.